Inspired by Dr. Leon Smith's (1970 alumnus and parent of Andrew ‘11) tireless advocacy to bring the issue of heroin addiction to the forefront on the Stetson campus, in Florida and the country, the Fronk Peer Influencer program has been established. The program is named in honor of retired Stetson Chaplain Michael Fronk – a true servant leader who impacted countless lives through his careful work with students and families in crisis. 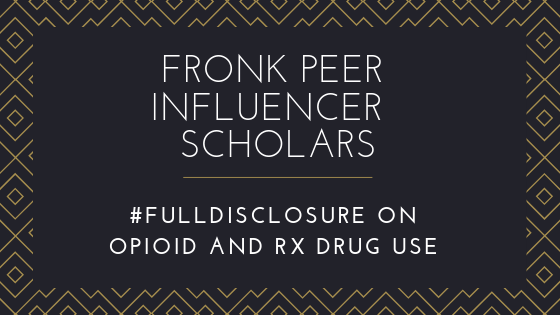 The Fronk Peer Influencers will facilitate presentations, skits, workshops, posters, face to face outreach, and more to address drug abuse at Stetson. An effort to change the perceived use of these drugs through social norm campaigns and infographics will also provide the student population with necessary information on drug misuse and abuse. The goal for this program is to make a real impact on how students perceive the danger of gateway drugs such as Oxycontin, Vicodin and Demerol which often times lead to the use of the deadly drug heroin. “Nearly half of young people who inject heroin surveyed in three recent studies reported abusing prescription opioids before starting to use heroin” (drugabuse.gov). To create positive change through leadership, partnerships, and networks.